The diversity of the cultural heritage assets, ranging from museums, to buildings to archives, to cultural itineraries and events, is a cornerstone in European identity and a catalyst for social inclusion. It also plays a specific role in achieving the Europe 2020 strategy goals for a smart, sustainable and inclusive growth, given its relevance not only in culture, but also in social and economic development, cohesion, education, tourism and innovation. However, pressure applied by visitors and residents means that heritage professionals, institutions and stakeholders face growing challenges to keep cultural assets and the territory around it protected, enhanced and, at the same time, accessible to all. SHARE aims at exchanging experiences in cultural heritage policies in urban settings, in order to identify best practices and innovative methods to develop a sustainable and smart approach to its management and use. The project will target ways in which smart cities projects can be effectively improved by including a smart and sustainable agenda for cultural assets in urban centers. The exchange of experience method will be based on a review of existing policy tools, European policy outlines and best practices and will include specific researches to be carried out in each partner’s area. 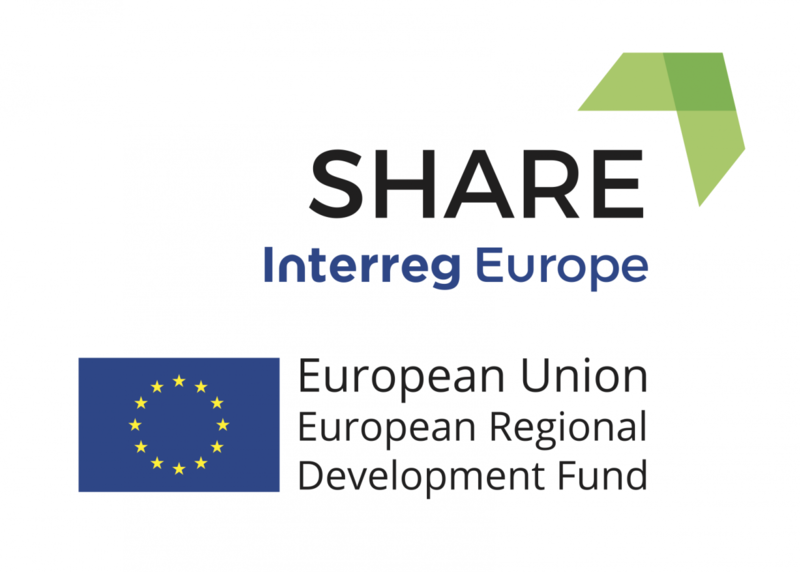 The result of the interregional exchange process, lasting 24 months during Phase 1 of the project, will be conveyed in 6 Action Plans, that will indicate ways to successfully transfer of SHARE’s outputs into mainstream policies, with particular reference to 4 ERDF funds. The partners represent a variety of public bodies, agencies and academic centers coming from 7 Countries across Europe dealing with cultural heritage and smart cities policies and will commit to effectively share results of the project with local stakeholders groups and the MAs and institutions implementing local policies, and to ensure monitoring of the Action Plans over the 2years period Phase 2 of the project.